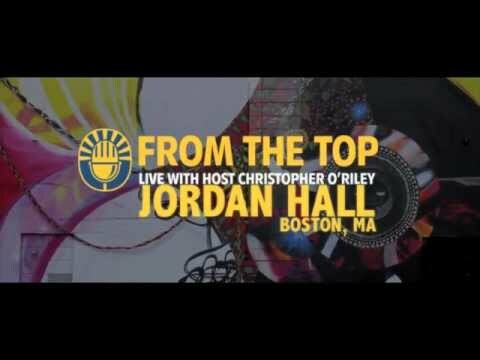 Ray Seong Jin Han performed on Show 295, recorded October 2014, at age 18. 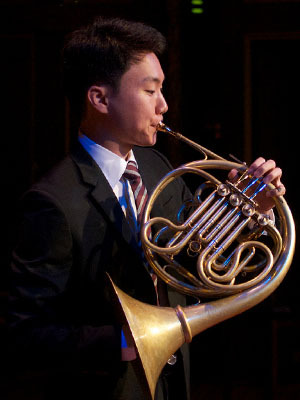 Ray Seong Jin Han (horn), 18, is originally from Seoul, South Korea, and currently attends Interlochen Arts Academy in Michigan where he studies with Gustave Camacho. He currently plays in the Interlochen Arts Academy’s Wind Octet and Sextet, as well as the school’s brass and horn ensembles. He was a 2014 National YoungArts Foundation Winner. He is a previous member of the Vancouver Youth Symphony Orchestra and the Vancouver Youth Symphony Wind Ensemble. Outside of music, he enjoys outdoor sports such as skiing and golf.